TA-TANKA I-YOTANK (Ta-tanka Yotanka, Sitting Bull), chief of the Hunkapapa Sioux; b. c. 1836, probably in the Dakota Territory; d. 15 Dec. 1890 at Standing Rock (N. Dak.). While still young, Sitting Bull gained a reputation as a warrior, and at the age of 16 he suffered a wound in battle which left him permanently lame. He became a medicine man and rapidly rose to be an influential leader among the Sioux. Although not directly involved in the “Minnesota Massacre” of 1862 [see Tatanka-najin*], Sitting Bull was one of the leaders, under Red Cloud, who resisted penetration by the United States Army into Sioux territory from 1865 to 1868. In the latter year, a treaty granted the Black Hills of Dakota to the Sioux. Within a few years, however, railway surveyors and settlers began appearing in the area and in 1874 reports of gold in the Black Hills attracted hundreds of prospectors and fortunehunters. The Sioux prepared for war. 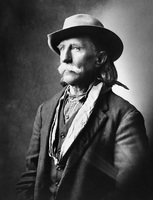 On 25 June 1876 the climax of these years of hostility between the whites and the Sioux came when Lieutenant-Colonel George Armstrong Custer, overconfident and eager to restore his eroded military prestige, led the 7th Cavalry against a large body of Sioux in the valley of the Little Bighorn River (Mont.). In the brief engagement, one of the bloodiest days of the American Indian wars, Custer and about 240 men were killed. Sitting Bull, the acknowledged leader in the Sioux victory, knew that now the full weight of the U.S. Army would be brought against him and he sought to avoid disaster. On 21 October he met with Colonel Nelson Appleton Miles, who was leading a campaign against the Sioux, to discuss the possibility of peace. Miles insisted that the Indians surrender their guns and horses and retire to reservations. Sitting Bull refused and fighting continued. The summer of 1877 was filled with tension as minor incidents and disagreements threatened to erupt into war. 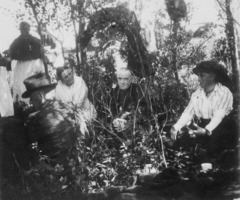 Three American emissaries who attempted to convince Sitting Bull to return to the United States were imprisoned by the Sioux and were saved only by the intervention of Walsh and Acheson Gosford Irvine, the assistant commissioner of the NWMP. On another occasion Walsh arrested three Indians for horse-stealing in the middle of the Sioux camp. Critical questions continued to worry those in positions of authority on the prairies. Would Sitting Bull, despite his promise, launch forays across the boundary, perhaps goading the U.S. Army into pursuing him onto Canadian soil? Would the presence of the Sioux on Blackfoot hunting-grounds provoke a war between the two fierce prairie tribes? Would Sitting Bull try to unite the western tribes against the whites in order to recover the buffalo country? 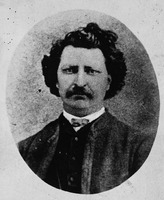 Were rumours in 1878 of an alliance between Sitting Bull and Louis Riel, then in Montana, accurate? The United States government wanted Sitting Bull and his Sioux either to return to American territory, where it could exercise control over them, or to settle permanently in Canada. Canadian officials, who had no desire to adopt the Sioux, also wanted them to recross the border but did not dare risk war with the Indians by using force. 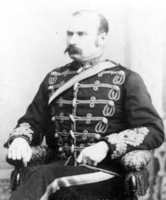 At the suggestion of James Farquharson Macleod*, commissioner of the NWMP, the Canadian government arranged a meeting between General Alfred Howe Terry of the U.S. Army and Sitting Bull on 17 Oct. 1877 at Fort Walsh (Sask.). Distrusting the Americans and their promises of a pardon and just treatment, the chief refused to return to the United States and the meeting broke up. 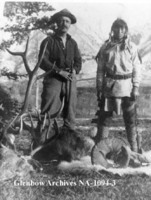 Nevertheless Macleod and Walsh continued to urge Sitting Bull to surrender, saying he would never be recognized as a British Indian or granted a reservation in Canada and warning him that the buffalo would disappear within a few years. The latter prediction came true all too quickly. In 1879 American traders and hunters set fires along the border to keep the buffalo south, and the end of the hunt on the Canadian prairies was in sight. The friendship that developed between Walsh and Sitting Bull may have been the major reason for the lack of serious troubles involving the Sioux in western Canada. 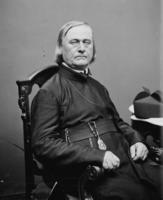 Walsh was, however, criticized for becoming too friendly with Sitting Bull and for failing to persuade him to return to the United States. This reaction probably explains Walsh’s transfer to Fort Qu’Appelle in the summer of 1880; his replacement at Fort Walsh, Lief Newry Fitzroy Crozier*, was not able to maintain good relations with Sitting Bull. That summer the lack of buffalo and the refusal of the Canadian government to give the Sioux either a reservation or food led many to go back to the United States which had promised provisions. During the winter of 1880–81 Sitting Bull, considering his own return, made inquiries about the reception of those who had surrendered. In the spring he met in Qu’Appelle with Colonel Samuel Benfield Steele* and Edgar Dewdney*, the commissioner of Indian affairs, who urged him to cross the border. Walsh wired from the east where he was on leave that it was safe for him to go back. Finally, in July, Jean-Louis Légaré, a local trader, led Sitting Bull and his remaining followers back to the United States, where they surrendered at Fort Buford (Buford, N. Dak.) on 19 July 1881. Sitting Bull was allowed to settle on the Standing Rock Agency, where he remained. 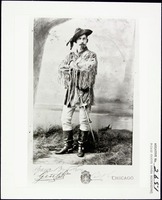 He toured briefly with Buffalo Bill’s Wild West Show, visiting Toronto in August 1885. In the late 1880s a movement which prophesied the return of a Messiah who would exterminate the whites and return the buffalo swept the American west. This new religion and its Ghost Dance were outlawed. Sitting Bull, seeing a chance to recover his lost prestige and power, became a leader of the Messiah “craze.” The authorities were still fearful of Sitting Bull’s possible influence and issued a warrant for his arrest in December 1890. The Indian police who attempted to enforce the warrant at the reserve provoked Sitting Bull’s followers, and in the exchange of gunfire Sitting Bull was one of those killed. Glenbow-Alberta Institute, James Macleod papers. PAM, MG 6, A 1, 24 April, 9 Nov. 1878; 24 March 1879; 22 May 1890. 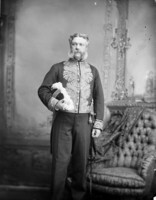 Can., House of Commons, Debates, 1878–82; Parl., Sessional papers, 1877, VII, no.9, app. D: 21; 1878, V, no.4, app. E: 34–35, 39–42, 47–49; 1880–81, 111, no.3: 27–29; VIII, no.14: 93–101. Fort Benton Record (Fort Benton, [Mont. ]), 1875–81. Globe, 8 April, 22, 24 Aug. 1885. Manitoba Daily Free Press, 1874–76. Saskatchewan Herald (Battleford), 1878–80. DAB. A. B. Adams, Sitting Bull: an epic of the plains (New York, 1973). J. W. G. MacEwan, Portraits from the plains (Toronto, 1971), 128–40; Sitting Bull: the years in Canada (Edmonton, 1973). C. F. Turner, Across the medicine line (Toronto, 1973). 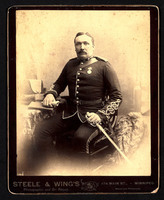 J. P. Turner, The North-West Mounted Police, 1873–1893 . . . (2v., Ottawa, 1950). Stanley Vestal, Sitting Bull, champion of the Sioux; a biography (new ed., Norman, Okla., 1957). 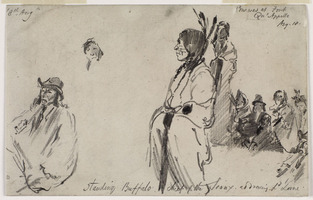 Gary Pennanen, “Sitting Bull: Indian without a country,” CHR, 51 (1970): 123–40. J. W. Grant MacEwan, “TA-TANKA I-YOTANK,” in Dictionary of Canadian Biography, vol. 11, University of Toronto/Université Laval, 2003–, accessed April 24, 2019, http://www.biographi.ca/en/bio/ta_tanka_i_yotank_11E.html.